In an effort to take better care of my skin I've had four facials this year with microdermabrasion. I feel an esthetician can be a wealth of information and this winter I was told I needed to start using a serum because I have dry skin. Now I've always had oily skin never dry, but skin changes with age and with the seasons. Between the cold weather outside and indoor heating, your skin can become dry in the wintertime, which is why it’s so important to have a humidifier at home to help prevent dry skin and hair. The humidifier will keep your skin hydrated and restore some of the moisture in the air. And you need to change your skincare routine from season to season just like you do your wardrobe because your skin has different needs. This winter my goal has been to highlight my natural beauty by transforming my skin to give it a nice glow. I don’t have any major complaints with my skin, I’m at an in-between age where acne no longer is my treatment focus and wrinkles and fine lines haven’t shown up yet. I've heard of skin serums a million times, but I never actually knew what they did until last month. Serums infuse the skin with a higher concentration of active ingredients that penetrate deeper layers of skin. Moisturizers only hydrate the top layer of the skin and if you moisturize once a day during summers then you should be moisturizing twice a day during winters. Additionally exfoliating your skin is a great way to get rid of all the dead cells allowing your moisturizer to penetrate better. I can tell how dry the air is outside by how much my lips crack which makes it extra difficult to achieve radiant skin. If you want an amazing lip scrub to polish away the dead skin, here's a natural one I use. Serums tend to be on the pricey side, but if you’d like a diy cost effective way to turn your lightweight moisturizer into a hydrating winter moisturizer, just add a few drops of 100% pure vegetable glycerin to it (I already add it to my hair) which pulls water from the air into your skin. Obviously the best way to preserve your skin is from the inside by eating nutritious food with healthy fats (avocados and omega-3s) and staying out of the sun. Your skin uses omega-3s to produce its own moisturizing oils, you can find it in the form of flaxseed oil or a vitamin. Be sure you're taking your Vitamin D. It's essential to its role of absorbing calcium for bone health, it's essential for the immune system and improves insulin sensitivity, mood, and muscular strength. Additionally don’t forget to drink your daily water in the winter time to hydrate your skin. Plus a positive, happy spirit takes years off your face. I’m somewhat of a skincare freak and love researching what’s the newest and greatest product out there. 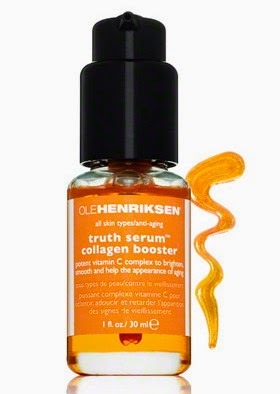 My research brought me to Ole Henriksen’s Truth Serum, which you can find on Sephora's best sellers short list. I bought the Unwrap Your Radiance Collection which I thought would be a great way to try out a new line at a fraction of the price. The six-piece collection is valued at $108 but sold for $48. The kit comes with a 0.5oz truth serum that I can tell will last me a long time. I've been using the Ole Henriksen line for a little over a month and I've seen immediate results! I have combination skin, with occasional hormonal breakouts on my chin. I've always struggled with having tiny flesh colored bumps on my forehead that never went away no matter what I did and now it’s almost completely gone. Using these products have made a huge difference in how my skin looks. Truth Serum is an antioxidant-rich brightening and nourishing serum enriched with vitamin C. It's a lightweight gel, not oily at all. 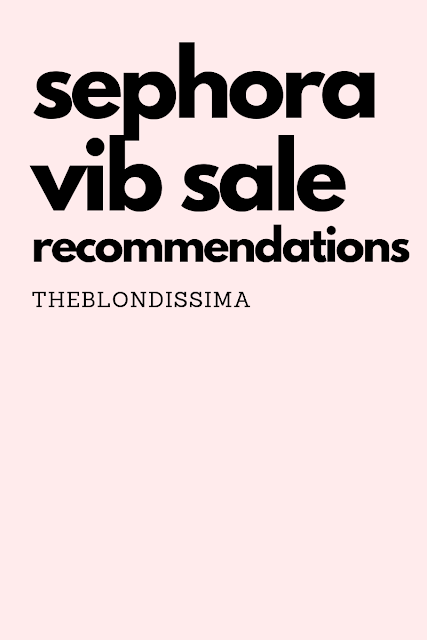 This is the first serum I've ever used and now has become a daily staple in my routine. It leaves my skin feeling so silky and smooth. My mother has been using vitamin C on her face for years and she has beautiful skin. Vitamin C does wonders for your skin, it helps boost collagen production and also provides antioxidants.The serum absorbs very quickly but it is definitely not moisturizing, so I follow it up with Ole's moisturizer. The serum has honestly resurfaced and re-energized my skin! A 1oz bottle costs $48 so yes it’s quite pricey, but for the results I've seen it's worth it! An AHA gel that seals in essential vitamins and minerals for deeply nourished skin. It supports natural cell turnover by exfoliating the skin and improves the appearance skin resulting in a beautiful, radiant complexion. It tingles a bit when you first put it on, but I love it because it makes my skin glow. You must use this with a moisturizer. Made of 100% rose hips seed oil which is the latest 'hot' ingredient in skin care products. It’s a natural source of vitamins A, C, E, and essential fatty acids all known as healthy skin promoters. I find it to leave my skin a bit greasy so I will only use it all over my face in the evening. As I said I was experiencing a dry skin area on my forehead due to the winter season, and one dab there during the day make my flakes disappear! This wouldn't work so well underneath makeup. It makes my skin super soft and glowing so if you’re hesitant to put an oil on your skin, think again. There’s a mini collection of these products if you’d like to give it a try for just $22. That serum is by far my favourite winter product!! That's awesome you use it too! Thanks! Definitely get yourself a serum! 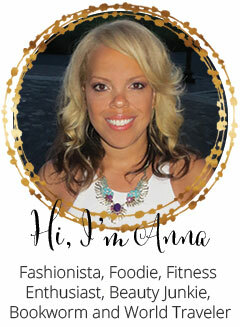 love the pic and great tips!